The iPhone 6 home button not working is a pretty common problem. In fact, the home button for older models of the iPhone is very susceptible to damage that can cause it not to work as it should. Since most problems with the iPhone home button are hardware related, you may have to get the device's hardware repaired. But we have a software workaround that can allow you to keep using the device while you wait for the hardware problems to be fixed. Your iPhone 6's home button can suddenly stop working because of a fall or water damage. In this case, the only way to get it working again is to have the hardware repaired. The problem is that sometimes the damage can occur after the warranty period has lapsed, making the repair very expensive. At this point, most people will simply choose to replace the iPhone with another one. If your iPhone is still on warranty, Apple can cover the cost of repair as long as the device did not suffer water damage. Water damage will often void the warranty. Yet, it is also likely that your Home button may have suddenly stopped working because it was susceptible to damage after a year or two of use. In older models, Apple has acknowledged that some of these frequently occurring problems are eligible a free repair programme. You may want to make an appointment with Apple to find out if your device is covered and how much it the repair is likely to cost if is not covered. There is a cool feature in iOS that can allow you to keep using the device even when some of the hardware buttons stop working. This will give you the chance to keep using the device even without the home button as you make arrangements to have the device repaired or purchase a new one. Step 2: Scroll down to find the Interactive section and tap on "Assistive Touch.."
Step 3: Turn on "Assistive Touch" and you should see a new Assistive Touch button appear at the bottom corner of the screen. This small button can be moved around the screen if you find it disrupting may of the functions of the device. Tapping on the button will show you several options that include Home, Custom, Siri, Notification Center, Device and Control Center. As you can see, you can use this button for many of the functions the home button performs. The iOS system is prone to many software related problems and many of them can only be fixed by resetting the device which can lead to data loss. So, it is certainly good news to find an iOS system repair tool that can fix just about any software issue without data loss. This solution is Tenorshare ReiBoot and it can be very useful for some of the most common iOS issues including a device stuck in the Apple Logo or a device stuck in recovery mode. To understand how easy it is to use ReiBoot to fix these issues, we thought we'd share with you this very step by step guide on how to use it. Step 1: Launch ReiBoot on your computer and then connect the iPhone to the computer using USB cables. Once the program recognizes the device, click on "Fix all iOS Issues" to begin. The device is repaired in a few simple steps with absolutely no data loss and restarts in normal mode. 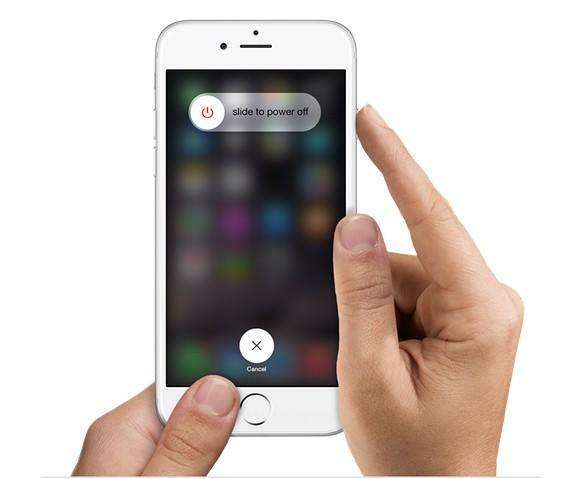 Losing the function of the iPhone 6 home button can greatly hinder the way you use the device. when the iPhone 6 home button is broken, the above solutions should help you keep using the iPhone.